When I saw that Funko was releasing a Nosferatu Pop! Vinyl Figure, I could not contain my excitement. 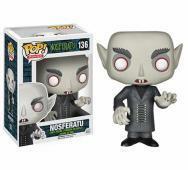 Funko releases some nice collectables for the horror fans out there. Horror Block even ships some out in their monthly mystery boxes, hint hint, would not mind seeing one of these classic vampires in my next Horror Block. This figure is based on the 1922 F. W. Murnau‘s Nosferatu (1922) vampire classic. Sadly we have to wait until August 2015 but an earlier sale at San Diego Comic-Con in July 2015 is expected. New In-Your-Face Zombie Killing Poster for Dead Rising: Watchtower! 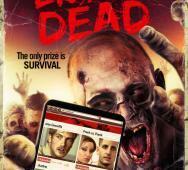 Capcom and Sony will release Zach Lipovsky‘s Dead Rising: Watchtower (2015) on Crackle this upcoming March 27, 2015. 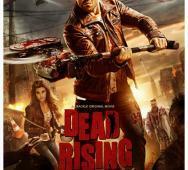 This film is based on Capcom’s Dead Rising game series which recently released Dead Rising 3 for next gen consoles and it was fantastic! This will be a Crackle exclusive on release day but I am sure other VOD services will get to stream the zombie movie soon. This new Dead Rising: Watchtower poster really catches the essence of the Dead Rising game franchise with the sledgehammer chainsaw combo weapon in full view. Starring in Dead Rising: Watchtower are Jesse Metcalfe, Meghan Ory, Virginia Madsen, Dennis Haysbert and Rob Riggle. 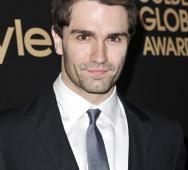 'Crow' Creator Wants Sam Witwer to Play the Crow! James O’Barr wants Sam Witwer (Syfy’s Being Human TV series) to play the Crow in the Crow Remake. 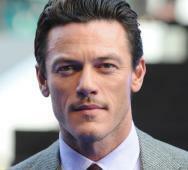 Luke Evans recently left the limbo that is the Crow Remake to make more movies, he just could not put a hold on his schedule. O’Barr actually reached out to Witwer after Evans departed from the film and Witwer told O’Barr that he would “mow his lawn for the rest of his life for the chance.” Witwer is just funny like that and just like that, Witwer needs the final approval from the Crow Remake director Corin Hardy and Witwer could be announced the official Crow. 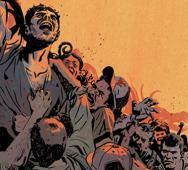 Robert Kirkman is the “man” behind AMC’s The Walking Dead and now he is heading up Cinemax’s Outcast TV Series. Outcast is a new horror TV series that will focus on demons and demon exorcisms. Cinemax has officially ordered 10 episodes for the first season of Outcast. Robert Kirkman will serve as Executive Producer and this TV series is also based on one of his comic book series, just like The Walking Dead is. Starring in the pilot episode of Outcast are Patrick Fugit, Kip Pardue, Reg. E. Cathy, Philip Glenister, Julia Crockett, Allison Barnes and Wrenn Schmidt. 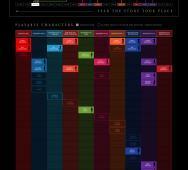 Will Outcast be a hit? Who knows but we will keep you in the know as we hear more. Dave Bautista Cast in Highlander Remake!? 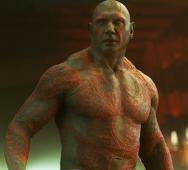 Dave Bautista has been really shining lately in his roles, the most recent being Drax the Destroyer in Guardians of the Galaxy (2014). Word is that he has been cast as The Kurgan in the long awaited Highlander Remake. 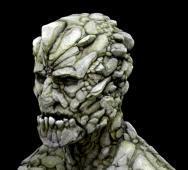 The Kurgan was originally played by movie legend Clancy Brown, this guy is awesome! Cedric Nicolas-Troyan is set to direct the Highlander Remake. This is all very early news so we will keep you posted as developments unfold. Who will play Connor MacLeod, originally played by Christopher Lambert? James Wan produced Demonic (2015) directed by Will Canon got pushed back from it’s 2014 release date in the US but horror fans in Brazil are getting to see the movie release in movie theaters before us. 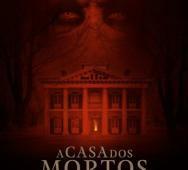 The Brazil title for the demon movie is titled differently “A Casa dos Mortos (2015)” which means “House of the Dead”. 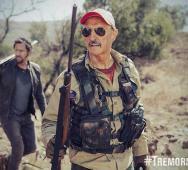 Dimension Films should release a US release date soon and we will update you as soon as that happens. Cast in Demonic are Maria Bello, Scott Mechlowicz, Frank Grillo and Cody Horn. The New Zealand horror comedy directed by Gerard Johnstone did pretty good in the reviews and apparently turned some heads over at New Line Cinema who recently secured the rights to create an American version of Housebound (2014). Peter Jackson himself gave Housebound positive reviews. 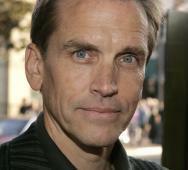 Jackson reportedly helped Johnstone get in touch with New Line Cinema for the remake. 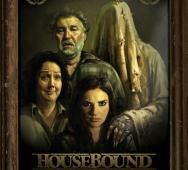 The original Housebound is currently released on DVD / Blu-ray so make sure you check it out if you have not already. 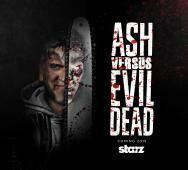 The first official casting news for Starz’s Ash vs. Evil Dead TV Series is here with Ray Santiago and Dana DeLorenzo. 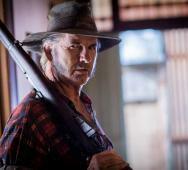 They join Bruce Campbell (producer, actor) in the first season which will consist of 10 full episodes. Names attached to the new horror TV series include Sam Raimi (producer, director, writer), Rob Tapert (producer) and Chris Albrecht (CEO of Starz). Raimi will direct the first episode that is co-written by him and Ivan Raimi. I am so ready for Ash vs Evil Dead; I know the original members are involved and Starz has already produced some gory favorites like Spartacus, great TV show overall… especially the first seasons. Neill Blomkamp's 'Alien' Movie Happening with Sigourney Weaver!? 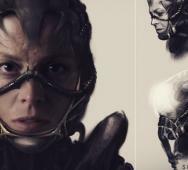 Neill Blomkamp‘s Alien movie may very well be coming real soon with Sigourney Weaver looking to “finish what she started.” Blomkamp has done movies like District 9 (2009) and Elysium (2013) so he is definitely a man with a proven sci-fi track record. 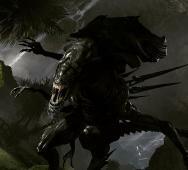 I would love to see this movie with Weaver destroying the Xenomorph home planet, that would be awesome. Show some love if you want to speed up this process so the studios know we want it real bad. 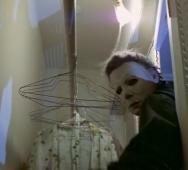 'Halloween Reboot' Penned By SAW Writers and a 'Recalibration'!? Co-writers Patrick Melton and Marcus Dunstan (multiple SAW sequels, The Collector (2009), The Collection (2012), Feast (2005) and Pacific Rim (2013)) have been tasked with writing the Halloween Reboot. I think these guys have some serious talent and only good things can come out of this. Something extremely interesting is that they are actually calling the Halloween Reboot a “recalibration” and it is not a reboot, remake or re-imagining. Further more, this movie will have no relation to Rob Zombies’ Halloween (2007) and Halloween II (2009), ouch. 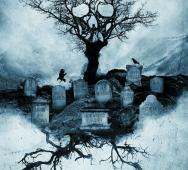 That is all for now until The Weinstein Company/Dimension Films release more detail on the next Halloween movie. Eli Roth has recently announced that The Green Inferno (2013) is pushing forward towards a August - September 2015 movie release date. Further more, we are talking a theatrical release date thanks to Open Road Films. 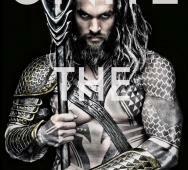 That is right, possibly a full theatrical movie release date or at the very least, a limited theatrical release. Definite details may be released at The Sundance Film Festival 2015 so look forward to more details real soon. Starring in The Green Inferno are Lorenza Izzo, Ariel Levy and Aaron Burns. Relativity Studios is now looking for a replacement for Luke Evans because he is no longer apart of The Crow Reboot, bummer. Corin Hardy is still attached as the director but Luke Evans is a busy guy in high demand, we could not expect him to stick around in this “limbo” surrounding The Crow Reboot/The Crow Remake. 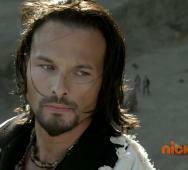 I am sad to see him go and I know that many would have seen the reboot/remake just because he was attached. We will keep you posted when his “replacement” is found. William Brent Bell is making a new horror movie titled The Boy with Lauren Cohan (AMC’s The Walking Dead, CW’s Supernatural) to star in the lead role, her first feature film lead role. The Boy is a horror thriller that “centers on a nanny (Cohan) who is tasked with overseeing a lifelike doll by a bizarre couple who treat it as a real child. The couple use the doll as way to cope with the death of their young son, but the nanny becomes increasingly convinced that it is alive.” Involved in the project are Lakeshore Entertainment and Vertigo Entertainment with filming scheduled to start this March 2015. The screenplay was created by Stacey Menear. All said, I am am very interested in this project and cannot wait to see more. CONtv will release it’s new Fight of the Living Dead TV series. They describe it as Survivor meets The Walking Dead. So basically competitors face off against hordes of walking zombies. Sounds interesting and I cannot wait to see the first episode. NBC and Sky TV has just greenlit a new futuristic dramedy “Apocalypse”. Set to star in Apocalypse are Rob Lowe, Megan Mullally, Jenna Fischer and Mathew Baynton. 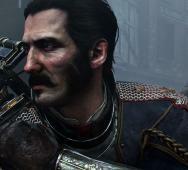 NBC describes the series as out-of-the-box and original. I hate to call it so early but I am not sold on this new TV series… next. Rose McGowan has signed on to make her directorial debut in The Pines. The Pines will be a psychological thriller. 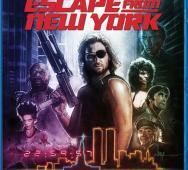 Shooting will start in Fall 2015 in upstate New York. 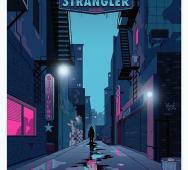 Set to produce The Pines are Sundial Pictures and Tangerine Entertainment. 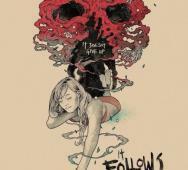 Alex Mar has written the script which is described as “a troubled young woman’s dreams of stability are threatened by a family of healers who could help save her mind, or lose it completely.” News broke on opening night of the Sundance Film Festival 2015. 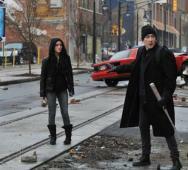 Rose McGowan did create a short movie titled “Dawn” that she submitted to the Sundance Film Festival 2014. 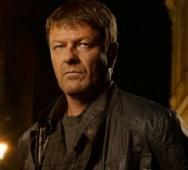 ITV Encore‘s The Frankenstein Chronicles Season 1 already has Sean Bean in the cast. New to the cast are Anna Maxwell Martin, Charlie Creed-Miles, Ed Stoppard, Elliot Cowan, Hugh O’Conor, Joe Tucker, Kate Dickie, Lalor Roddy, Patrick Fitzsymons, Richie Campbell, Robbie Gee, Ryan Sampson, Samuel West, Shaun Mason, Steve Wilson, Steven Berkoff, Stuart Graham, Tom Ward and Vanessa Kirby. That is a huge announcement for ITV Encore’s first original drama since it was launched in 2014. Shooting for The Frankenstein Chronicles starts this upcoming January 26, 2015 in Northern Ireland. 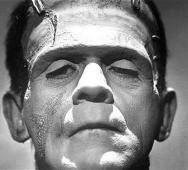 Fox has recently ordered a pilot for a new supernatural drama based on loosely Mary Shelley‘s Frankenstein. Fox is still trying to catch-up on what works as multiple other TV networks have several dark TV shows already in their primes. The new Frankenstein series will be written and produced by Rand Ravich and executive produced by Howard Gordon (The X-Files, Buffy The Vampire Slayer and Angel). 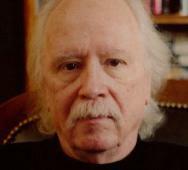 The story will center on Ray Pritchard who is a morally corrupt retired cop who is brought back from the dead into a much younger and stronger body. Will Pritchard fall back into old temptations or choose better moral path? Frankenstein is going to be a Sci-Fi drama and from the sound of this early news, very boring and dull. The folks over at Horror Decor have all kinds of horror items for horror fans. 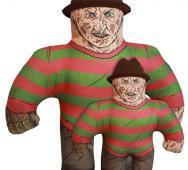 Horror Decor has just added Horror Buddies (horror icon pillows) featuring Freddy Krueger, Jason Voorhees, zombie baby from Dead Alive, Farmer Vincent from Motel Hell and clown. All of these pillows look great and capture the spirit nicely. The pillows come in two sizes; big size is 21” tall while the smaller versions are 13” tall. The pillows are handmade and require 3-4 weeks for shipping, enjoy! Simon West to Direct 'The Blob Remake' Confirmed! Simon West has been confirmed to direct The Blob Remake. Originally Rob Zombie was considering the directing chair on the remake but that did not happen. 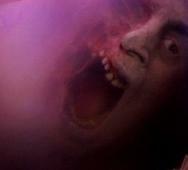 I was a fan of The Blob (1988) directed by Chuck Russell. Producers attached to the new remake right now include Richard Saperstein and Brian Witten. The Blob (1958) producer Jack H Harris will executive produce this new remake of The Blob along with Judith Parker Harris, Shara Kay and Laurence Freed. For those of you who do not know/forgot; the blob crash lands onto Earth and starts to multiply while/by eating/dissolving the local townsfolk. Are you excited to see the new Blob movie, I am! Milla Jovovich just confirmed that Resident Evil: The Final Chapter (2016) will start shooting August 2015. Congrats to Milla Jovovich first of all on their new (second) child with husband Paul W.S. Anderson. Milla is such a trooper in her commitment to the Resident Evil movies but we are all hoping that the new Resident Evil film will be better than most of the previous films. This is supposedly the last and final Resident Evil movie. Shooting will take place in Cape Town, South Africa among other locations. Resident Evil: The Final Chapter is scheduled to release in movie theaters on September 2, 2016. Cast in Resident Evil: The Final Chapter are Milla Jovovich, Wentworth Miller and Sienna Guillory. New horror anthology Tales of Halloween (2015) is unlike anything you have seen before. There are 10 horror shorts glued together by some main element. I have been disappointed by many of the horror anthologies so far but Tales of Halloween looks awesome. The horror anthology is also packed with horror icon cameos including Joe Dante, John Landis, Adam Green, Adam Pascal, Adrianne Curry, Mick Garris, Lombardo Boyer, Graham Skipper, Stuart Gordon, Greg Mclean, Spooky Dan Walker and Adrienne Barbeau. Cast members include Pat Healy, Barry Bostwick, Noah Segan, Booboo Stewart, Greg Grunberg, Clare Kramer, Alex Essoe, Lin Shaye, Dana Gould, James Duval, Elissa Dowling, Grace Phipps, Pollyana McIntosh, Marc Senter, Tiffany Shepis, John F. Beach, Trent Haaga, Casey Ruggieri, Kristina Klebe, Cerina Vincent, John Savage, Keir Gilchrist, Nick Principe, Amanda Moyer, Jennifer Wenger, Sam Witwer, Jose Pablo Cantillo, Ben Woolf, Caroline Williams, Robert Rusler, Cameron Easton, Austin Falk, Madison Iseman, Daniel Dimaggio, Natalie Castillo, Ben Stillwell and Hunter Smit. David Duchovny has confirmed that he is eager/willing and able to return as Fox Mulder BUT as a limited X-Files TV series only. 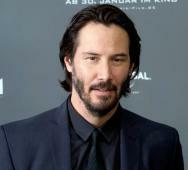 He states that he is getting too old to do a full TV series like before. David Duchovny is also scheduled for NBC’s Aquarius TV series where he plays a homicide detective trailing Charles Manson during the 1960’s, before the Tate-LaBianca murders were committed. 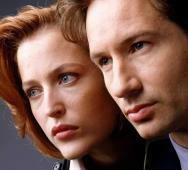 Fox TV Group already confirmed they are on board too so the X-Files reboot series will happen soon in some shape. Random thoughts; will Fox make Mulder a side character? Gillian Anderson has confirmed that she will return as Dana Scully and Chris Carter also is in talks with Fox. 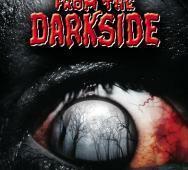 More from HellHorror.com as this develops. Beetlejuice 2 Sequel Filming in 2015 - Tim Burton, Michael Keaton Maybe, Winona Ryder Confirmed! Writer Seth Grahame-Smith shared a lot of news about the Beetlejuice 2 aka Beetlejuice Sequel. 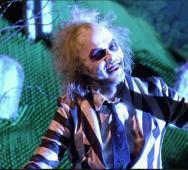 Starting from the top, Michael Keaton and Tim Burton are definitely interested in the new Beetlejuice movie. Winona Ryder has been confirmed to return to the Beetlejuice movies and possibly Beetlejuice franchise. Beetlejuice was one of my favorite films growing up and my children enjoy it also. I would love to see what happens next/before… who knows where the sequel will take us. 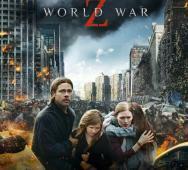 World War Z 2 Sequel Will Be Totally NEW?! World War Z Sequel (World War Z 2) screenwriter Steven Knight admitted that he will “start with clean slate.” He is just waiting for Paramount Pictures and Plan B Entertainment to sign off on the newscript. Filming will start this October 2015 so more should be revealed before then. Not sure if Brad Pitt will return and in what capacity. Not sure what this means for the zombies and story, we will keep you updated on anything new that we learn. 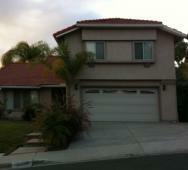 Tell us what you think about this new development in the comments. Italian actress Matilda Lutz will star as the lead in the Rings (2015). Directing the new Ring movie will be F. Javier Gutierrez. So far, Lutz is the only confirmed cast member attached the Rings. 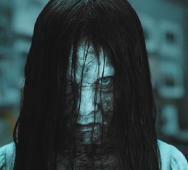 Samara was one scary looking little girl and that climbing out of the TV scene was great. I am still wondering why the title of the movie is called Rings, was the film copied and then sent to multiple recipients thus creating multiple “ring” occurrences? I cannot wait to find out either way. Are you stoked to return to the Ring franchise just like me? FOX Returning to The X-Files TV Series?! I grew up watching The X-Files TV series in the 1990’s and when I heard news of FOX returning with a new TV series with the same team including David Duchovny, Gillian Anderson and Chris Carter I could not contain myself. Fox TV Group chairman Gary Newman said that he is “hopeful” about creating the new series and confirming that the FOX network is currently in talks for the new X-Files series. Another Fox TV Group chairman Dana Walden also confirmed this but stated that the conversations so far have only been scheduling to see when they can get the team back together at the same time. Roger! 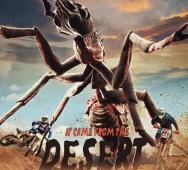 Pictures and Cinemaware will be creating the 1989 action/adventure Amiga 500 game It Came From the Desert into a film. The game was also released for the Mega Drive, Turbo Grafx 16 and DOS but the Amiga version was the one that fans liked the most. The Atari version was never released. The film will be going into principal photography this year and is scheduled to release in 2016. Do you remember this game and what are your thoughts on a feature film for the Amiga 500 game?